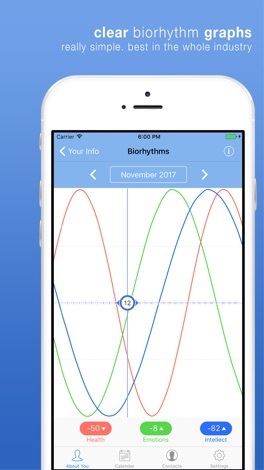 Surprised the biorhythm values in Humanist are different from any other similar apps? Humanist uses float day cycles, instead of integers, in contrast to other solutions. Therefore, exactly our results are the most accurate. Humanist: know people better than they do themselves. It is a unique, convenient, and, the most important, accurate tool that helps to plan relations with any person, as well as to understand your own opportunities on any day! Try out Humanist, and make sure that scientific estimates made by this app are accurate. Assure yourself of it! Every day we receive tens of responses about how Humanist helps people, how accurate the received information is, and how easy it is implemented, although it is not a simple tool. 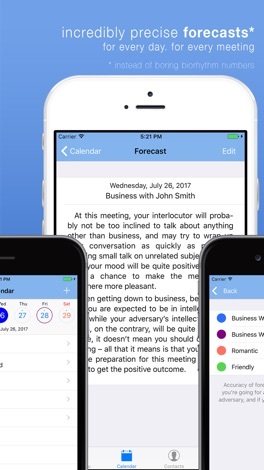 A bright example: Humanist made it easier to reach the set goals on business meetings for one of our clients, when he started to plan them, relying on this app, selecting the most optimal day for the concrete meeting with its help. 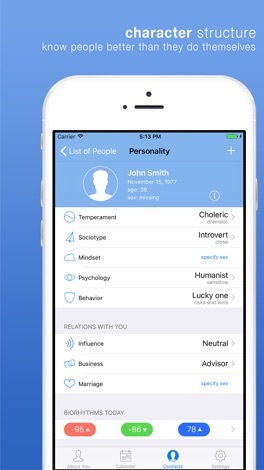 Humanist is an unusual application which will help you precisely determine the character structure of any person and his influence on yourself in different spheres of business. 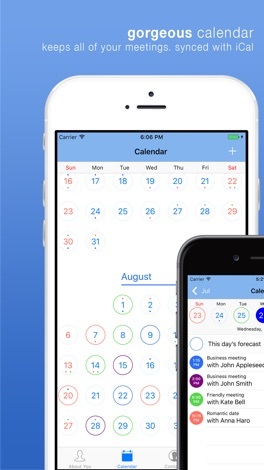 An inbuilt calendar will give you a precise forecast of your physical, psychological, and intellectual characteristics which vary from day to day. And since these processes take place in everybody, Humanist will allow you to create a meeting with any person and receive a detailed forecast of what to expect from this meeting. And you can trust that, because there’s many of airline companies are using such a Humanist methods to arrange Pilots’ schedules. At the same time, all meetings are also automatically added to your system calendar, which means that when synchronizing it with PC or Mac you will get an exact schedule for every day on any device. And the reminder that goes off before the meeting won’t let you miss an important event. In addition, if you want, you can get all information not just as an understandable and easily readable text but also as a set of diagrams for own analysis. 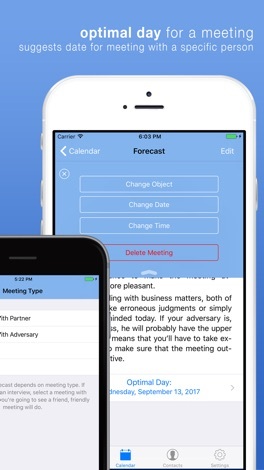 And should your plans for the already created meeting suddenly change, you will always have a meeting editor handy. Please note that all this is a result of many years of scientific discoveries. When developing the application we consulted with researchers to guarantee that you will get precise information. Please, visit our website at www.humanistapp.com and check out a live video of how to work with Humanist.